Registration is necessary to download latest updates from https://www.silverfast.com/get_update/it.html . Titolo *: please choose Ms Mr please choose Dr. Dr. Dr. Prof. Prof. Dr. Prof. Dr. Dr.
You need to enter a valid email address to complete the registration succesfully in order to download free updates! 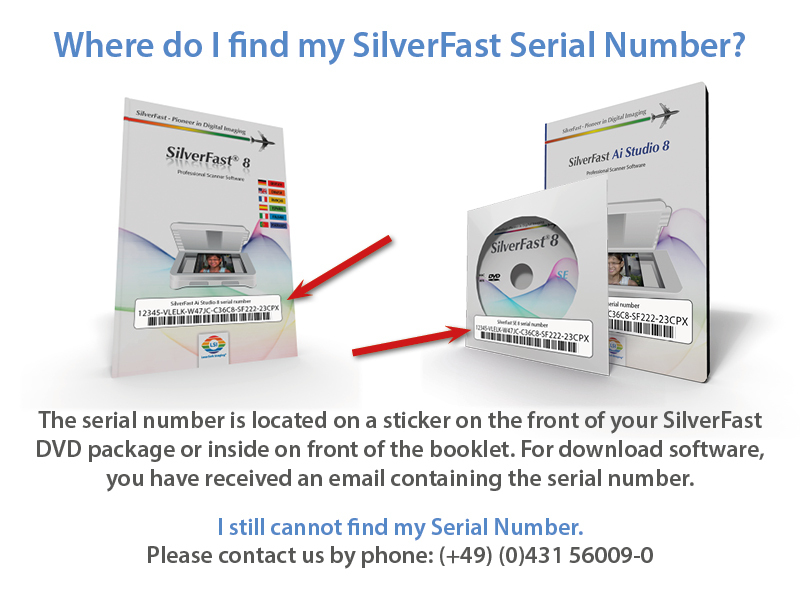 Numero di serie SilverFast *: Where do I find my serial number?